MILLBRAE, Calif. -- A man who bought a California Lottery ticket with money he just happened to find on the floor has won $1 million. Hubert Tang had not bought a lottery ticket in 10 years, but when he found a $20 bill on the street outside San Francisco International Airport Wednesday, he used it to buy two "$1 Million Jackpot! Scratchers" tickets, according to lottery officials. Tang purchased the winning ticket at Andrea's Market, located at 1601 El Camino Real in Millbrae, lottery officials said. Tang, who works as a bartender, said he was in shock when he learned of the win. "I scratched the ticket outside of the store. I told my friend whom I was with that I didn't know if it was real, but 'I think I just won a million dollars,'" Tang said in a statement. Regarding his newfound fortune, Tang said he didn't have any immediate plans to spend the money. "For now I'm just going to put it in savings," he said. 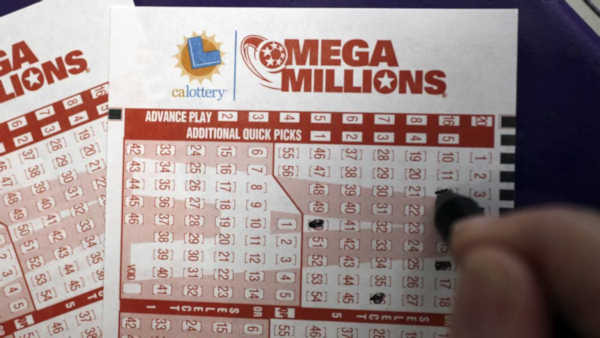 Tang is not the only winner, however, since the store where he purchased the ticket will receive a $5,000 bonus, lottery officials said. With no plans to make any major purchases right away, Tang's money may help inspire other winners. "Maybe I'll start leaving $20 bills on the street in random places," Tang said.